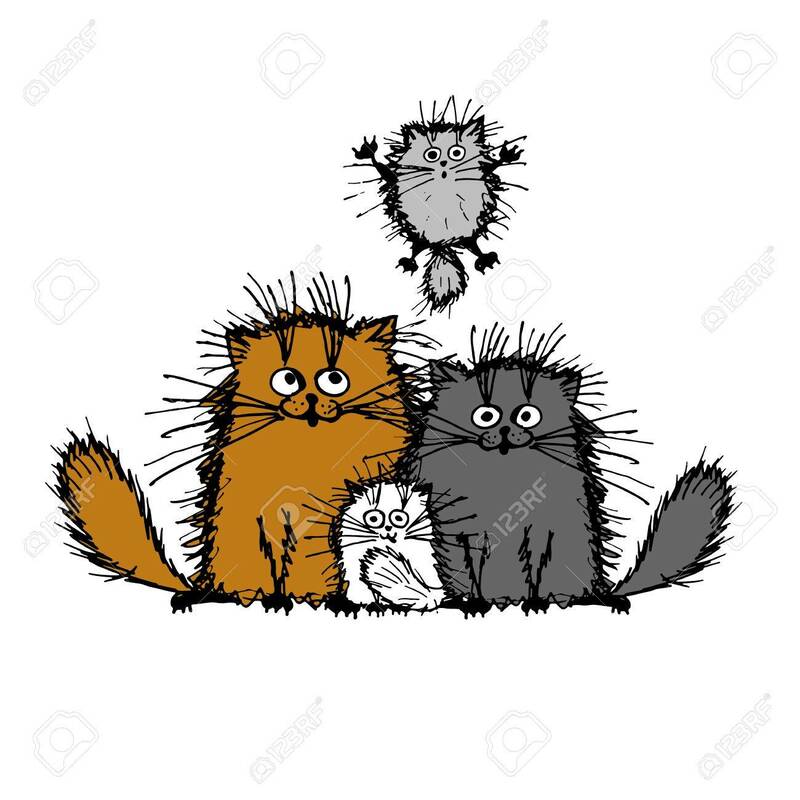 Fluffy Cats Family, Sketch For Your Design. Vector Illustration Royalty Free Cliparts, Vectors, And Stock Illustration. Image 51825221.